These subtler factors are particularly customised to the chart they derive from. As well as relating to deterministic aspects of worldview, these lots also reflect a sense of ancient psycho-spiritual symbolism. As they underpin and interweave in an astrological picture, lots open the door to considerations about the nature of fate and soul. A ‘lot’ refers to such ideas as what one is dealt by destiny, ‘allotted’ by incarnation, the ‘lottery’ of life. Most crucial were the Lot of the Moon (Fortuna) and that of the Sun (Spirit). A lot is a calculated point in an astrological chart. It is created using a specific formula involving the distance between two positionings upon the ecliptic and relating this to a third point of reference (commonly, that of celestial bodies to a particular calculated point, especially the ascendant). Over time and across cultures a multitude were developed, and they consequently became tagged as ‘Arabian Parts’. Through the centuries the philosophical knowledge underlying lot technique and meaning became modified, misunderstood, and lost. Eventually, they fell from use to become generally disregarded into modern times. Only an abstracted ‘Part of Fortune’ was to remain, but largely as a dated curiosity and ‘lucky’ significator. It is only since the late 20th century that the nature of this ancient technique and symbolism has been seriously reconsidered – and it is still early days. 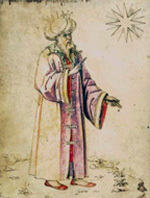 The study of primary writings and their translations has led some respected astrological thinkers to propose just how notable lot doctrine really could be. This intensive (AP11) was first presented on the Gold Coast (GCAS) in May 2010, and on the Gold Coast (GCAS) in revised form in September 2013.